We bring life science and diagnostics applications expertise that is unmatched among full-service OEM partners. We can help you create products that are perfectly suited for your customers. The most successful products don’t just meet customers’ needs, they inspire and enable them to achieve their own goals. Customers become delighted, continue to purchase, and share their delight with others. 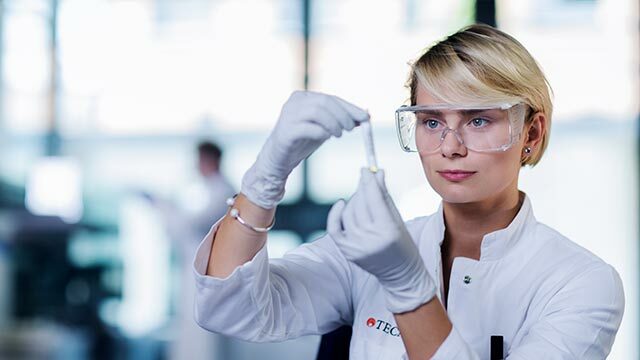 Leading diagnostics and life science instrument platform providers trust Tecan to help them build what have become some of the most successful products in these industries. Our projects go more smoothly with a partner who is knowledgeable on the science side. You don’t have to explain your application needs to us. Whether your customers are in clinical diagnostics, pharmaceutical development, drug discovery, or basic research, we bring application knowledge that saves time throughout your project, and helps to minimize your time-to-market.